Born in the city of Barquisimeto, Lara state on 8 October 1991. At the age of 1 year and a half, he began his musical studies at the Musical Kindergarten Mescoli White Star. Then in 1995 entered the Conservatory of Music „Vicente Emilio Sojo“ in order to continue his musical studies. 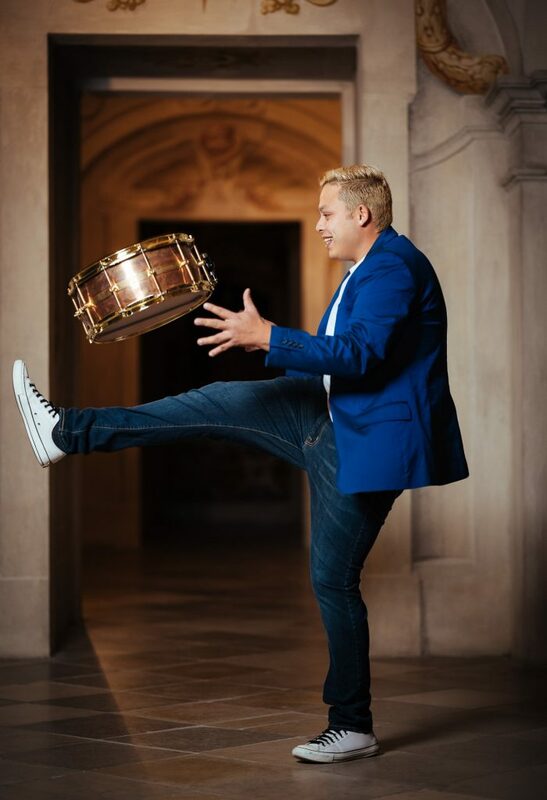 In 1996, he began studying percussion, under the tutelage of Prof. Alejandro Briceño, continuing it years later with Maestro Antonio González. In 1998 it enters the system Children and Youth Orchestras of Venezuela, rising to the rank of percussion of the Children’s Orchestra „Doralisa of Medina“ under the direction of the Masters Hector Gutierrez and Luis Orlando Giménez. Two years later, he entered as a founding member of the Children’s Orchestra „Little Mozart“ and then enter an active part in various ensembles, such as Brass Ensemble and Percussion State Youth Orchestra of Lara where he made concert tours national and international (Portugal, 2008 and Spain 2009). In 2007 it begins its concern to the orchestral and choral conducting , conducting studies with Maestro Miguel Angel Monroy (2008 ) and Libya Prof. Gomez (2009 ) . He has been a guest conductor of the Orchestra Symphony Orchestras Youth Children „Little Mozart “ International Youth Orchestra “ Arturo Santana Pimentel “ and the Symphonic Musical „White Christmas“ (2009 and 2010). He is currently director of the Children’s percussion ensemble Lara and percussion ensemble director of the Children’s Orchestra „Little Mozart “ , belongs to the rank of percussion of the Youth Orchestra Symphony State of Lara State. In parallel he studied Bachelor of Music Education ( UPEL – IPB) . Since 2011 he is a drummer 7/4 Ensemble with whom he recorded 2 CD and made ​​6 international tours with concerts by nine countries (Germany, Argentina , Austria , Brazil, Colombia , Spain , the US, Italy and Venezuela ) . He has also participated in festivals such as Spanish Brass Alzira 2011 , Italian Brass Week 2012 , Schagerl Brass Festival 2014 , with artists of the Austrian brand SCHAGERL . In 2013 , South American tour with Gustavo Dudamel and the Simon Bolivar Symphony Orchestra . In 2014 , Gira System organized by the USA in collaboration with Mark Churchill and Benjamin Zander , appearing at venues such as Berklee College of Music and Harvard University. Schagerl Artist – PATRICK DANAO – with his new Drum Set!